The pool we installed has a swimming space of 12.5m, exactly quarter Olympic length so the client can easily calculate her distance for training. We included easy access steps, a solar slatted safety cover, an insulated shell, an economical air source heat pump powered by solar panels and a telescopic enclosure. The pool can be enclosed or fully open within a matter of minutes and can remain in use all year round. The pool was transported on a huge low loading lorry. The pool shell required a 20 ton excavator to lift it off the lorry due to its weight. The XXL 133 from Compass is the first of its kind into the UK, and remains the biggest one piece ceramic pool available. 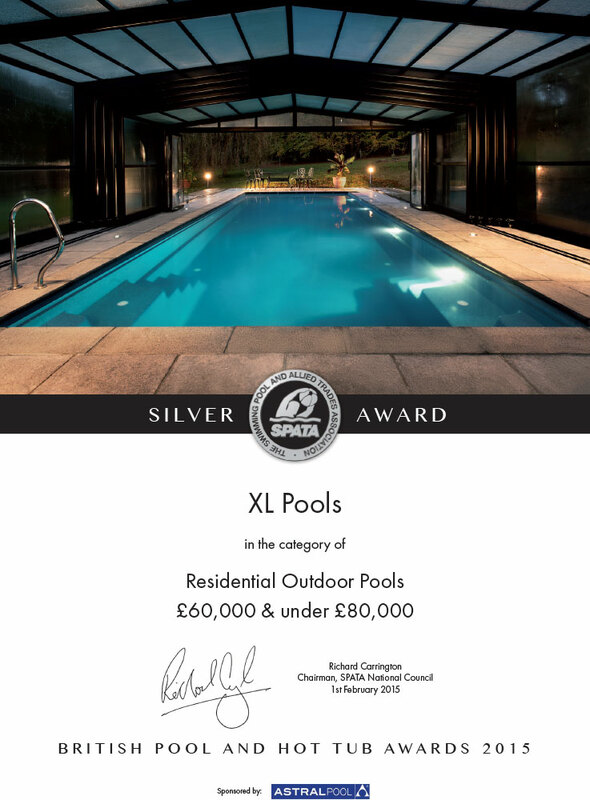 This pool is the largest ceramic one-piece pool of its kind, and XL Pools were the first company to bring it to the UK. 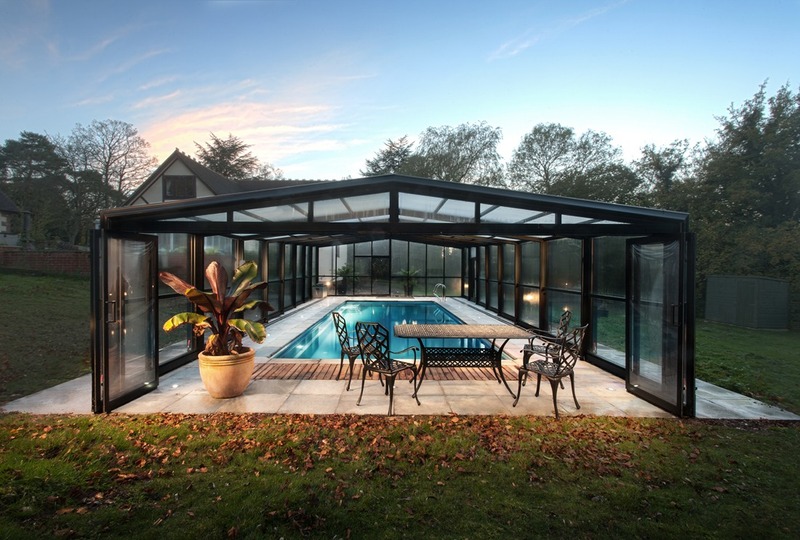 The design and features of the pool has it all – it is economical and adaptable, and the fully retractable telescopic pool enclosure enables the client to swim in comfort all year round. The seamless self-cleaning pool is perfect for a busy family who want to enjoy the space for sport and family time as well as swimming training for fitness.